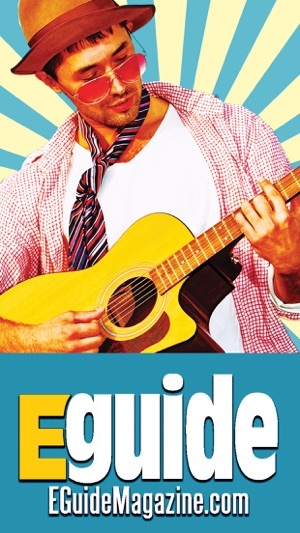 EGuide Magazine's free app is the #1 entertainment guide for Tyler, Texas and the north east Texas region. EGuide connects people to things to do in the area including live music, events, festivals, restaurants, theatre productions, art galleries, concerts, and more. The easy-to-use menu helps you find out what to do this weekend, who to see play live music, where to eat, and what is happening in Tyler, Tx. 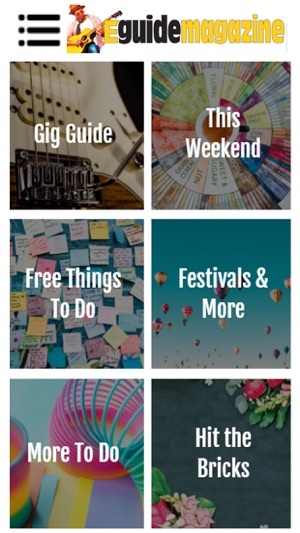 You can also get local's favorites picks for restaurants, music, tourist attractions, and events. 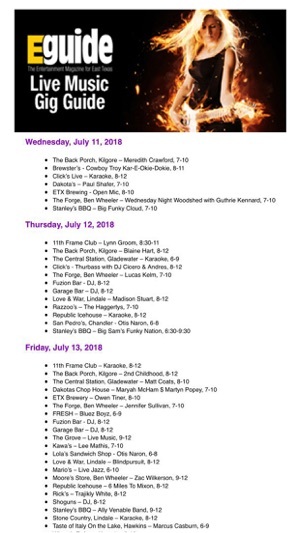 New and updated events calendar, gig guide, and more for Tyler, Texas.